A Rick Owens piece cuts a striking figure: draped black fabric, elegant and gothic at the same time. From antlered furniture to his fur collection: this XL monograph provides an overview of the designer’s instantly recognizable work, with hundreds of images from the archives of i-D magazine, including stunning shots from the likes of Corinne Day, Sølve Sundsbø, and Hans Feurer. There are a few other designers like Rick Owens, whose work is so instantly recognizable by cut and bias alone. Born in California, Rick Owens launched his eponymous label in 1994. His draped, dark, and perfectly cut aesthetic is the antithesis of the sunshine-saturated, bleached-teeth image of LA, and in many ways has been integral to his success. Owens relocated to Paris in 2003, where his goth meets grunge aesthetic—affectionately known as “glunge”—continues to grow from season to season. 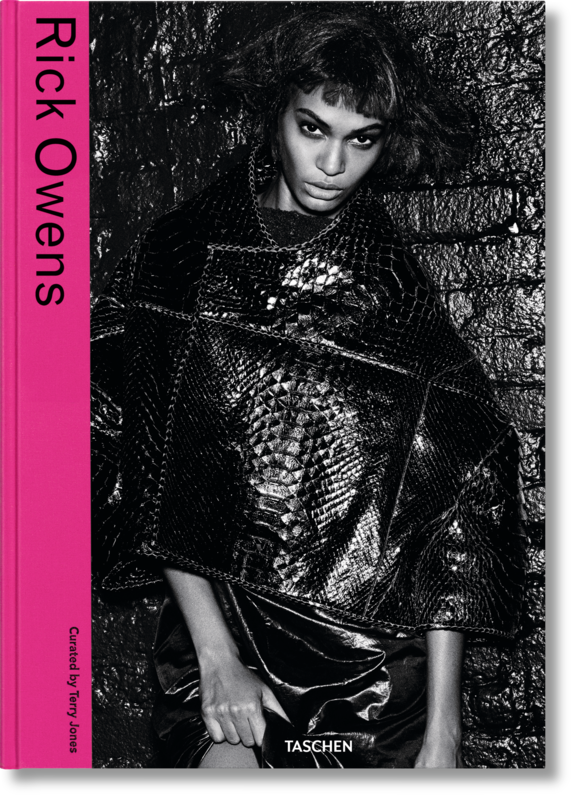 Today, Owens is a much loved and respected fixture on the international fashion scene. 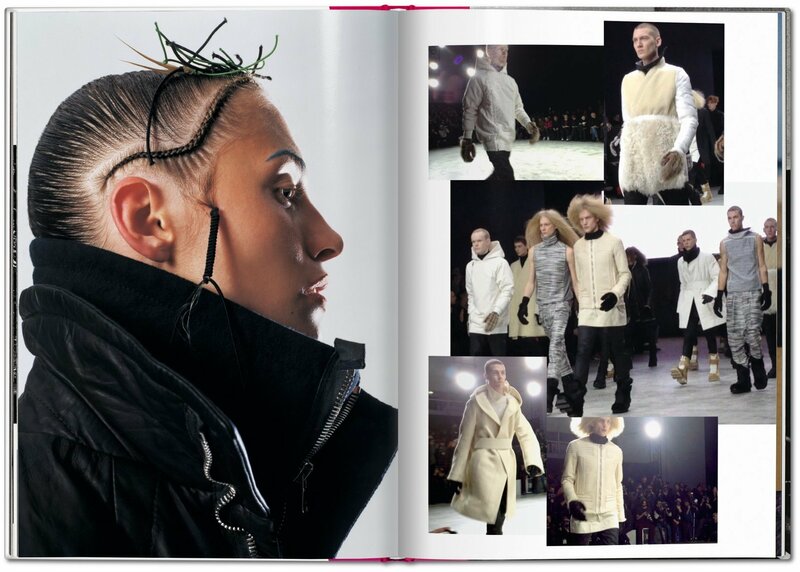 His vision stretches beyond fashion to include furniture, jewelry, and fur. As well as four fashion collections a year, Owens also designs Lilies, a successful diffusion line that offers a more playful take on the designer’s signature style, a bespoke line of furniture that incorporates everything from antlers to stone and wood, and his own fur collection entitled Palais Royal. 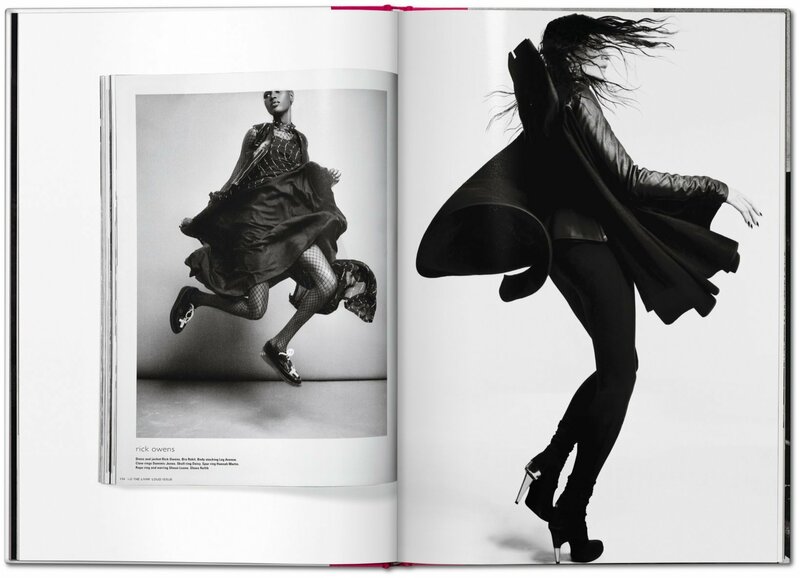 This stunning large-format photographic portfolio looks back over i-D’s archives to offer a rare insight into Rick Owens’s all-encompassing world. Highlights include cutting edge imagery from photographers including Corinne Day, Sølve Sundsbø, and Hans Feurer, and insightful interviews by Terry Jones, Holly Shackleton, Jo-Ann Furniss,and Ben Reardon. Founder and Creative Director of i-D magazine, Terry Jones started his fashion career in the 1970s as art director of Vanity Fair and Vogue UK. Since 1977 his Instant Design studio has produced catalogues, campaigns, exhibitions, and books, including TASCHEN’s Smile i-D, Fashion Now 1, Fashion Now 2, and Soul i-D.